This is a necklace that took 10.5 months to procure and produce. This "red carpet" ready necklace belongs on Rodeo Drive. 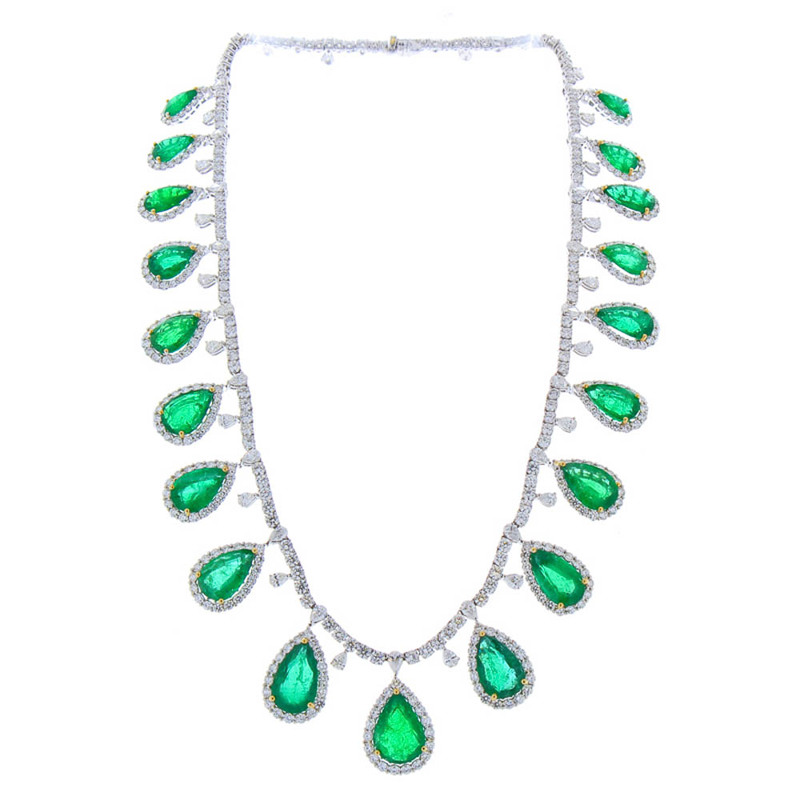 19 pear shaped emeralds, sourced in Brazil, are perfectly matched in color and graduation. They are 50.34 carat total weight and delicately hang from this necklace. The emeralds are accompanied by 18 pear shaped white diamonds and are surrounded with 358 round brilliant G,VS diamonds, totaling 19.50 carats. Handmade beautifully designed with 18k of white and yellow gold.